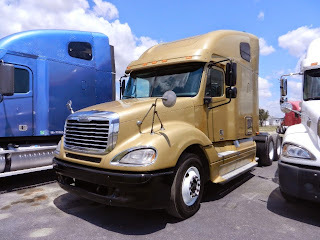 If the thought of owning a truck has been in your head BUT you are still not ready to start the process, then follow this quick to do list so that you will be ready. Owning a truck is easy but this quick list is essential for becoming your own boss. Get your account at your bank set to your name and always deposit your income. The monthly income should be at 4000 dollars so every dollar counts. It does not matter if the money comes in and out of the account. That obvious! We are all ready to spend or pay on our debts. What matters is that it goes into the account so get on that. We only need the last 3 months so its not a big deal. Save your paystubs for three months. So………….. you get paid and you rush to the bank to cash your check because you need to get going on with your LIFE! Ok its easy cash your check BUT before that set your paystub aside anywhere you remember to do so. We only need the last 3 months it really is not a big deal! Yes, drive! If you have been driving with a CDL for three years then you are set. If you haven’t just let us know! We will help. What we want is for you to keep on driving (or keep on truckin’) but with an INCREASED income! You need to have a lease! Have a contract with the company you work for. Make sure you have a stable job because after all you are an ASSET to the company you are working for. Set some money aside for a down payment. Set a goal of $3000-4000 dollars. With this money set aside you will be on your way to getting financed. Call us we will get you in a truck in no time.